I am out of town this next week so I am reposting one of my favorite blogs. If you have read this one already, you might want to visit my other blog site at http://www.timeparables.blogspot.com. I have nearly 500 blogs I wrote on this site. I will have a new blog next week but this week was so busy, I decided to do a reblog. If you have not listened to the music with this blog you are really missing the essence. The music is haunting. I have advice from a respected friend who says it is better to be positive than negative. Generally, I think there is much truth to his comment. Pessimists, cynics, skeptics, and critics seem to live hard unhappy lives. Studies show that though optimists may not live as long as pessimists, they live happier lives. We can look around us and see misery, inhumanity and poverty or we can look around and find kindness, generosity and love. So why would I write about “man’s inhumanity to man?” Perhaps I cannot give you a good reason. Sometimes it just seems so egregious to me and terrible that I feel the need to condemn it. I can not always have a “Happy Face” in light of the inhumanity that I see displayed by other human beings. In part one of this blog we examined the question of whether it was possible to achieve goals that gave other people health, wealth, wisdom or happiness. Our major conclusion was that this would be a futile effort. Thus, we turn to the question of whether or not we can set goals to achieve any of these cardinal objectives for ourselves. Prima Facie, you are probably wondering why anyone would even ask this question. I think this a critical point to address before we proceed further. I want you to understand that I am not being frivolous here. I am indeed serious in asking whether we can set goals for happiness, health, wealth or wisdom. 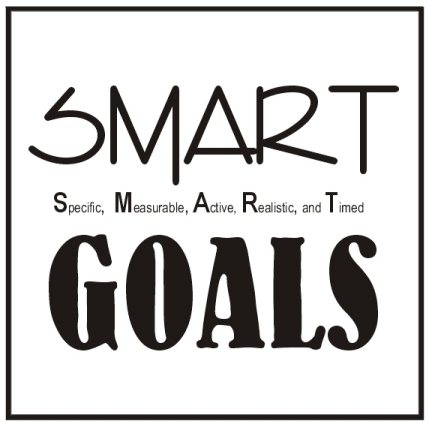 To understand Dr. Deming’s antipathy towards goal setting a few basic points must first be established. 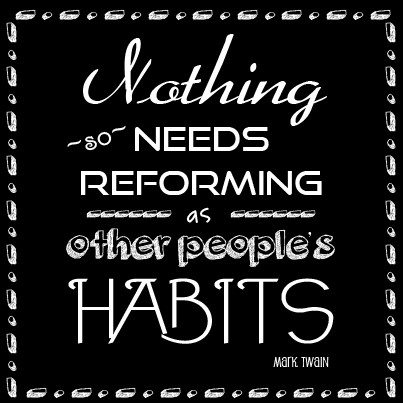 A system can only produce what it is producing unless changes in the system are undertaken. Arbitrary changes without consideration of the system as a whole will produce random results. “Pushing” a system to produce more than it is capable of will produce undesirable and unknown side effects. For example: asking workers to speed up production or to work longer hours. Improving a system will improve output and increase desirable outcomes. Continuous improvement comes from understanding of the process and the various factors that contribute to the process outcomes. Dr. Deming believed that one of the worst evils in the business world was management arbitrarily setting goals for workers and employees. We have already looked at the futility of such efforts. 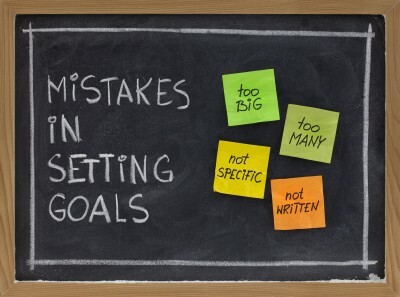 We now turn to the issue of whether or not we can set similar goals for ourselves. Keeping in mind the five points made above, will help us to more realistically look at the feasibility of setting goals in these areas. My goal is to make myself happy. 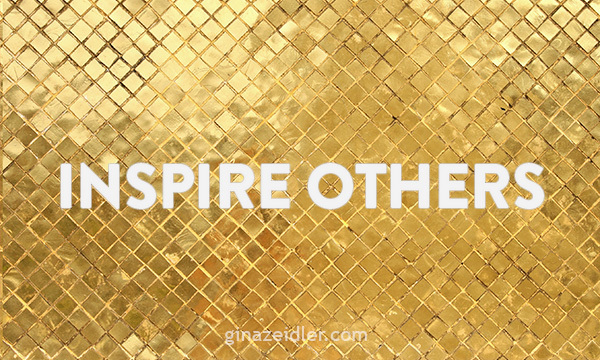 This sounds very simple but it may be the most difficult goal of all. How many people do you know who are depressed, alcoholic, suicidal, angry, bigoted, intolerant and worse even homicidal? Rarely do we see anyone in the news who is happy. If so, it is a very transient state of being. Many people are happy today and sad tomorrow. Happiness seems like a state of mind that can only be attained for a very short space of time. “The happiest day of my life” can be remembered by most of us, but if we could be happy all of the time, why would any one day stand out? That they do attests to the fact that truly happy days are very few and far between for most of us. Happy days always seem to be in the past. Perhaps that is because we really forget the miseries that often accompanied even the so called happiest days of our lives. Conclusion: We can achieve happiness but it is not the happiness of having things or getting medals or being successful. True happiness is a state of mind. Happiness starts when striving for results or accomplishments ends. Thus, setting a goal to become happy might only lead to more unhappiness. The way to accomplish this objective is a paradox since to be happy we must let go of the goal of being happy. Jesus said to live one day at a time. My goal is to make myself healthy. We all want good health and we can certainly make ourselves unhealthy. Can we do the opposite and make ourselves healthy? I think we can strive to be as healthy as possible but we have to accept the fact that some “health” is beyond our control or at least beyond our current scientific knowledge to impact. In terms of the five points given above, we do not fully understand the biological processes that create health in human beings. A few weeks ago, a young woman in our town died of terminal cancer at the age of 32 leaving two young children. She died only a few months after being diagnosed. What did she do to make herself unhealthy? Was it something she ate? Did she not exercise enough? I think you could spend your lifetime looking for an answer to these questions and you would never find an answer. Do your best to stay healthy. Exercise, eat right, don’t smoke, avoid stress and you might lead a long and healthy life. On the other hand, you might die in six months from some disease that you never realized you had. Conclusion: We can have a major impact on our health by living properly but no one person or no single effort can guarantee us health. It is a worthwhile goal if seen as a journey and not a fixed end state. Some days you will be healthy and some days you will be sick. My goal is to make myself wealthy. 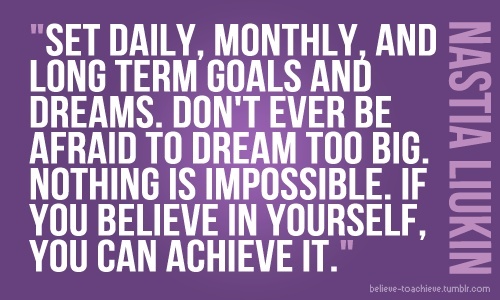 I have often pondered the value of this goal. Since I have never achieved it, though I have often stated it as a goal, I am left with two questions. First: Did I really value wealth enough to make it a priority in my life? Second: Would my life have been better had I become wealthy? My answer to the first question is a tentative no. I have valued many things more than wealth. I have always valued time more than wealth and I have always valued my own independence more than wealth. I would rather be out running or swimming than reading the Wall Street Journal. I have always had a difficult time taking orders and valuing loyalty to a company whose major motive is making profit is foreign to my nature. Perhaps (which is why I said tentative) these are the reasons I have never achieved wealth or status. On the other hand maybe I was just too lazy, stupid or undisciplined to become another Warren Buffett. I thought I had the brains, but somehow the billions have never come. The second question is perhaps more interesting. “What if I had become rich?” Would my life have been better? Would I have been happier? I have thought about this question more as I have aged and I honestly think that if I had become wealthy at a young age, my life would have self-destructed. Like many young people who become wealthy and ruin their lives with drugs or fast living, I think it entirely likely I would have been unable to handle the influence or power that money would have brought. I certainly do not think that becoming wealthy would have led to my happiness. As I have become older, the goal of wealth has become less important. I would not change my present lifestyle for all the money in the world. I am content with my life, my friends and my spouse. I am also content with growing older and coming to the end of my time. Conclusion: Beware of what you ask for, because you may get it. Few of us are wise enough or strong enough to handle the “drug” of wealth. My goal is to make myself wise. We have already seen the difficulty of giving wisdom to others. Can we make ourselves wise? Are there activities or knowledge that we can pursue which will ultimately confer upon us the mantle of “wise one?” I think you could go to school for 100 years every day and you still would not be wise. There is an old saying that “knowledge helps you to make a living but wisdom helps you to make a life.” We go to school and receive knowledge, but the world is full of educated idiots. We all know people who know how to make a living but haven’t the slightest clue as to how to make a life. I am nearly 70 years of age now. I am almost at that time of age when years ago, I would have been considered one of the tribal elders. By dint of having lived seven decades, I would have been considered wise. Perhaps years ago, that is all it took. The older you were, the wiser you were. Today, I see little correlation between aging and sageing. In fact, if you look at many of the great prophets, they achieved their status as leaders at what today would be a very young age. Jesus was in his mid-thirties when he was killed. Gandhi was fifty three when he became the leader of the non-violent movement in India and Martin Luther King was only thirty nine when he was assassinated. History is full of examples of people who were deemed wise without the benefit of age or education. Thus, we are back to the question, “how does one become wise?” If I do not know the answer, I can hardly make myself wise. Looking at the five points noted earlier, we must address the issue of “what kind of a system can or does produce wisdom?” Until we can answer that question, the goal of wisdom will remain elusive. Conclusion: I don’t really know the answer to becoming wise nor do I have a formula for how to become wise. I must conclude that at the present time, I have achieved a great deal of knowledge but the magic of wisdom has still escaped me. I have found that trying to become wise is an exercise in futility, like looking for the Holy Grail. Perhaps we would all be better off working to become more humble than more wise. 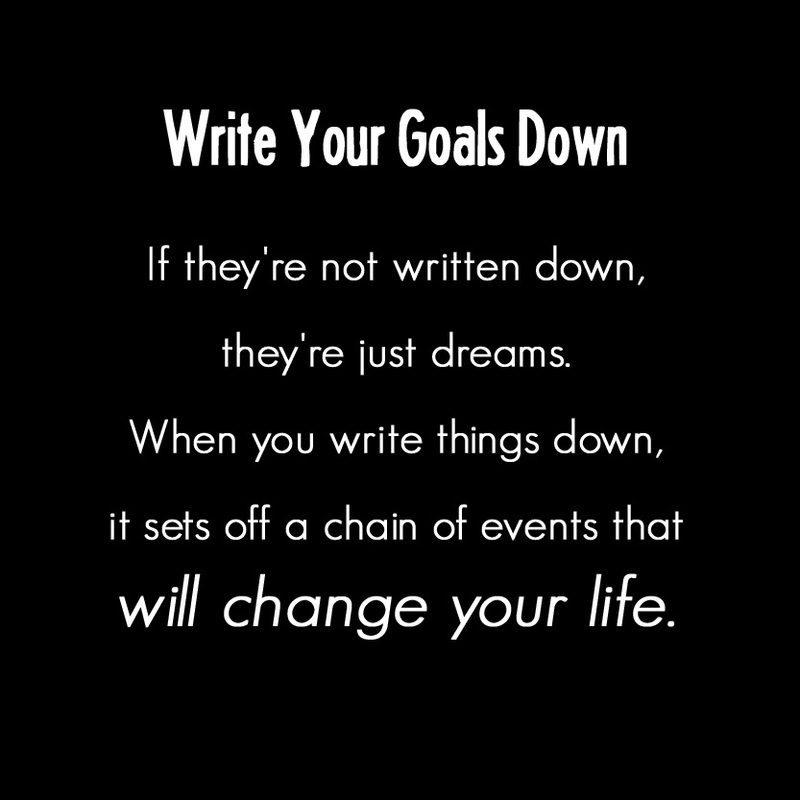 What goals have you set for your life? 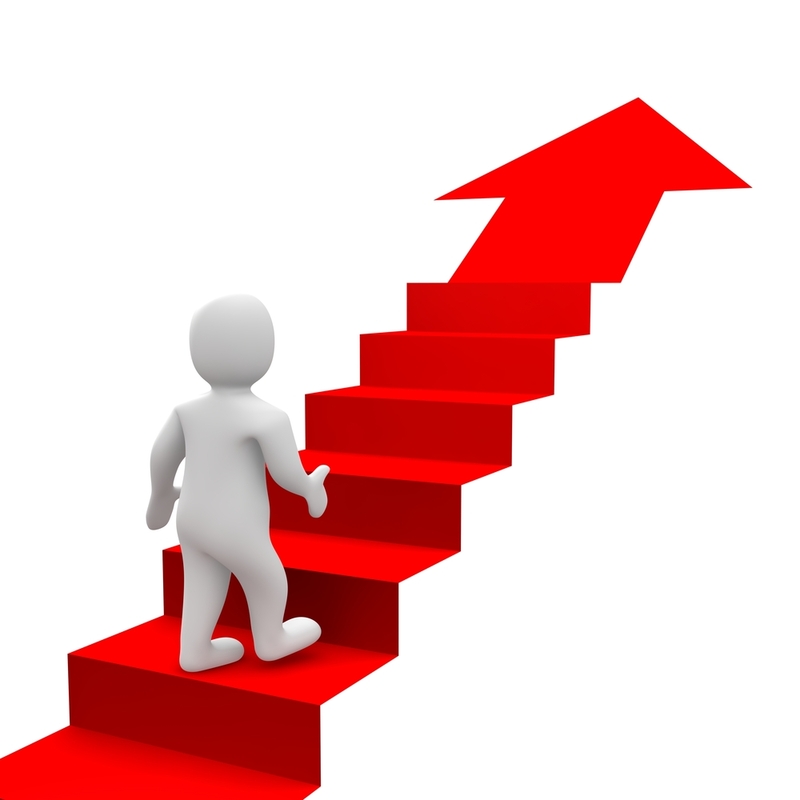 How successful have you been in accomplishing them? What obstacles have you faced? How have you overcome them? If you could re-live your life, what changes would you make in the goals you set? Why? You are going to find the following story as unbelievable as I would have, had it not happened to me. 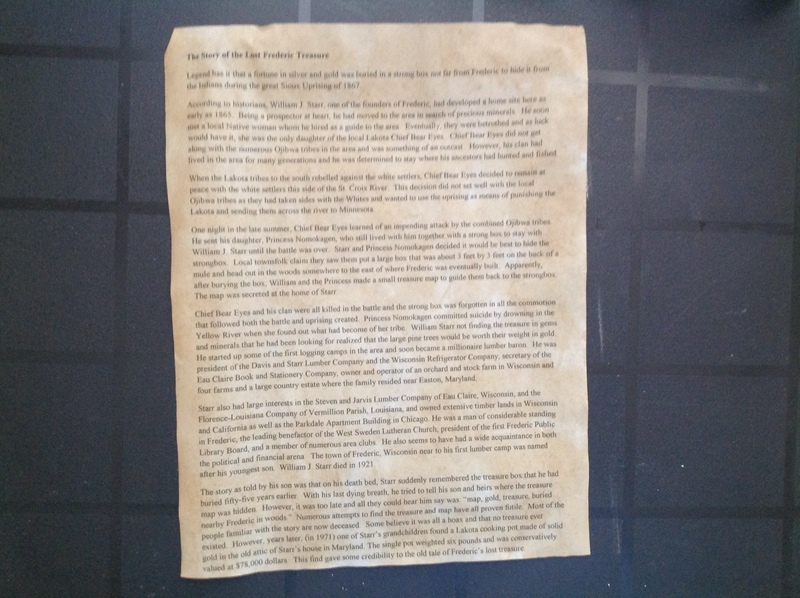 In addition, for the skeptics out there, I am posting pictures of the actual treasure map that I recently found. No, I have not found the Frederic treasure yet, but given time, I think I will. Well, let’s back up a minute so I can tell you the whole story. About two weeks ago, I finally got the car that we left in the garage (a 1998 Saturn Coupe) running and out of the garage. The battery had died after having been left to sit in an unheated garage through one of the coldest winters in history up here. Since this is our run-about car, I wanted to put the 2009 Honda Civic in the garage. It is newer and more dependable. Karen generally uses it when we are up here in Frederic. By the way, Frederic is a town of about 1200 people in the Northwest area of Wisconsin, located in Polk County. Karen’s great grandparents were early pioneers and residents in this area. They founded a mercantile store and a realty agency back in the early part of the twentieth century. There is a Blomgren road up here. There are many Blomgrens interred in the local cemetery and even some Blomgren memorabilia in the Frederic History Center. We have a 1923 Frederic phone book with names of Blomgren family members who lived here as well as an old 1909 ceramic plate from the mercantile store. 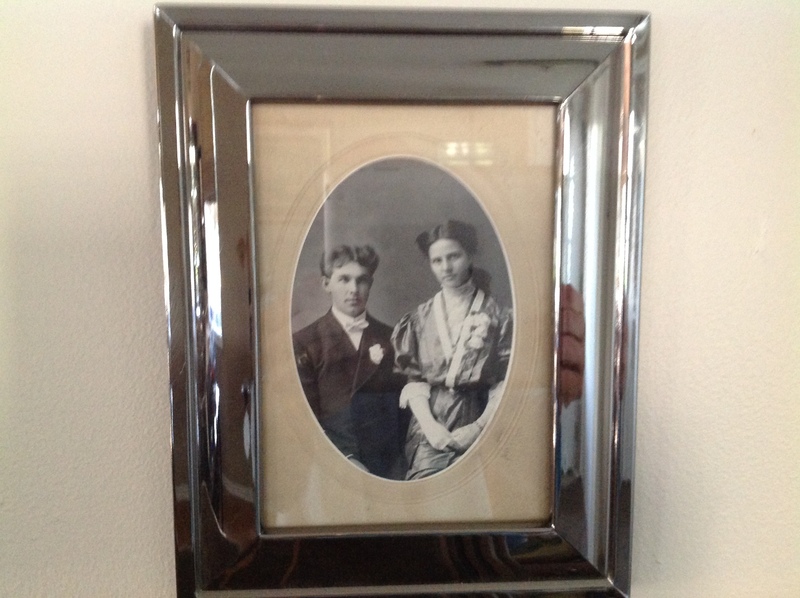 Perhaps the most unique thing we actually own is an old wooden desk that was built in 1900 for William Starr (The original founder of Frederic, which was named after his son) and at some time was acquired by Karen’s grandfather. (The picture included is an actual photo of this desk.) Well, Karen’s father inherited the desk from his father and Karen eventually inherited the desk from her father. The desk came from Frederic and is now back in Frederic where it started out its life. This old desk is determined to become a part of Frederic history. To continue the story: After getting the Saturn out of the garage, I wanted to put the Civic in and put a remote in the car for the garage door. I had placed the remote in the house before we left to go to Arizona last October. However, I could not find the remote. (That’s because I had strategically placed it) After six months, I had forgotten where I had strategically placed it. Thus, began a search of the house which eventually led me to searching the old desk. 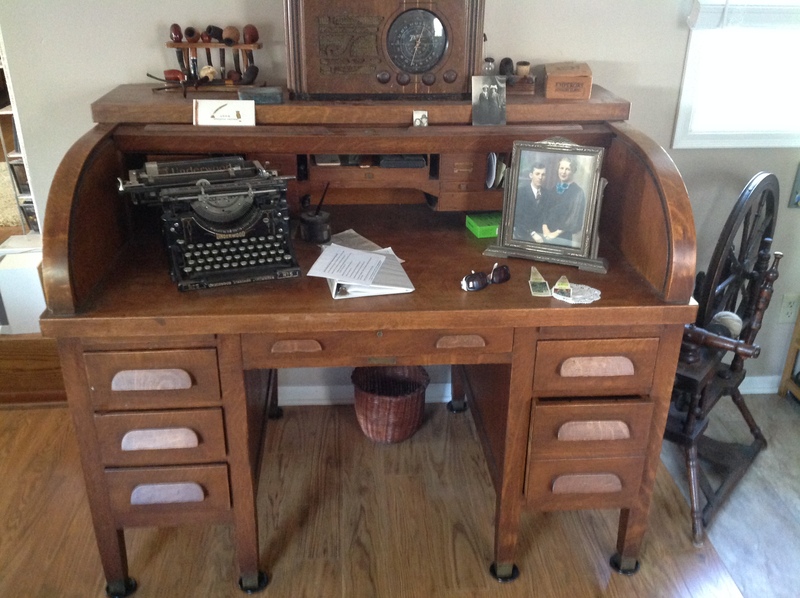 As you can see from the picture, this old desk has more drawers than you can count. A few years ago, we actually found an old 1910 deed to the Blomgren cemetery plot in one of the drawers. After contacting the Maple Grove Cemetery Association, we found that we were proud owners of a 1 and ½ cemetery plot that was still legal and valid after more than 100 years. Karen is going to take the full plot and I will take the ½ plot. I figure an urn with my ashes would fit nicely there. However, I must return to the story. Sorry for my digressions. It is just that I want you to fully understand the import of what I am about to tell you. This could forever change the history of this town and perhaps put Frederic on the map where it deserves to be. It is such a unique and interesting town. But that is a story for another day. You want to know about the Frederic treasure I suppose. Finally, I found the garage door opener. What I found while looking for the opener is actually the beginning of this story. I found a secret drawer hidden behind one of the old pull-out drawers. I was rather amazed because we had been through this desk many times. 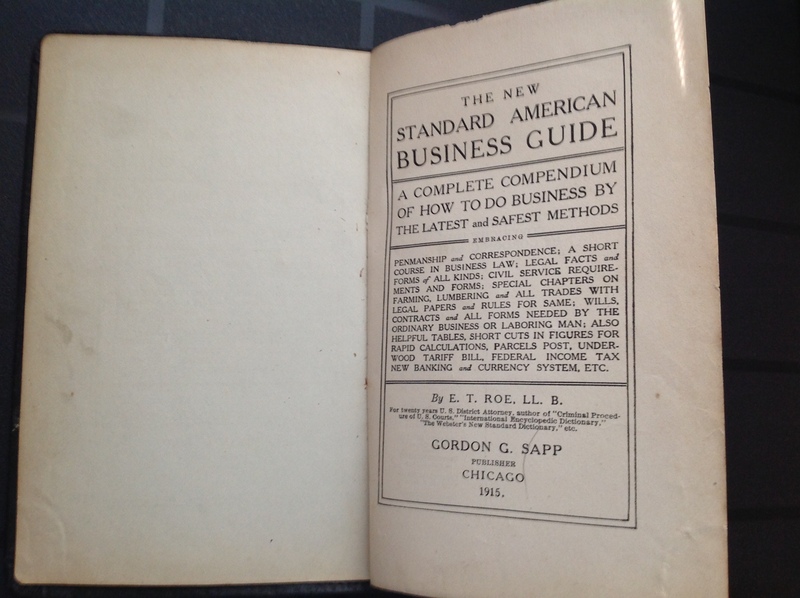 In the old drawer, I found a 1915 edition of a book titled: “New Standard American Business Guide”, copyright 1904 by Gordon G. Sapp. Since I love books, my first thought was to look through it to see what it was about. I quickly found the “Alphabetical Table of Contents” and was amazed at the wide range of subjects it included. Starting from Affidavits, it included such topics as: banking, bills of exchange, farms and farming, mortgages, naturalization, and last, working on Sundays and legal holidays. Dare I say, I was amazed at the breadth and depth of the subject matter included in this book? If you could read this entire book, it would be like getting a BA degree in Business; albeit, a BA in 1915, which might make you somewhat obsolete. I put the book alongside of my other books (in my books to read pile), to either read or review it later in the week. The following week as I was looking through the book, I found an old piece of parchment with old fashioned typed letters (probably an early 1900 typewriter) and the title “The Story of the Lost Frederic Treasure.” At first, I thought it might be a joke however reading the manuscript; I began to wonder if it could have any veracity. I am a born skeptic and so I looked up some of the history of Frederic to see whether or not there was any validity to the entire story. Lo and behold, the more I read about Frederic, the more I became convinced that this was a truly legitimate story. The history, dates, names and places all matched up. (See below for the entire text that was on the old parchment.) I Googled about seventy five different sources and the history was accurate. I gradually came to believe the story. About 150 years ago, William Starr had buried some type of treasure near Frederic in an old box. Whether, it was gold, silver or someone’s peculiar idea of a treasure could not be known until the treasure box was found. Putting the book away, I went back to my other work. Two more weeks went by before I picked up the old book again. I had totally forgotten the treasure and its story of mayhem and carnage. Everyone knows there is a treasure in the Superstition Mountains in Phoenix but you won’t find me looking for the supposed “Lost Dutchman Mine.” I have better things to do then go up and down these mountains looking for buried gold. Now, if I had a map, it might be a different story. With this last thought in my mind, you will never believe what happened next. 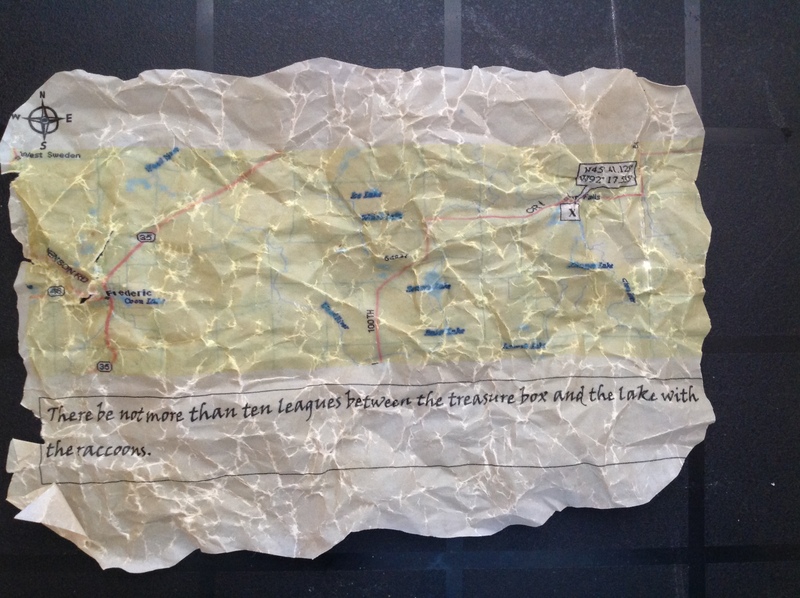 My two reasons for including the map: Number one: Following the old map, I have had no luck. I have spent hours out digging and hunting so far, but it has been fruitless. Since my days on this earth are more and more numbered, I would love to see the old treasure found even if it is not by me. Second reason: To assure you that there is truth to this story. All you have to do is come up to Frederic some Saturday with a pick and shovel and you may be the next millionaire. (Please let me know if and when you do find the treasure box.) Perhaps more research might help pin down precisely where the treasure is located. There are many old records in the Frederic History Museum, the Frederic Library and the Frederic Newspaper Office. Someone with more patience than I have had could likely find some clues to help locate the treasure. I wish anyone with the patience and curiosity to seek the old Frederic treasure, the best of luck. One warning to any potential treasure hunters, watch out for bears, wolves, ticks and deer flies. They are all murder up here in the summer. Following is a copy of the first manuscript that I found. Legend has it that a fortune in silver and gold was buried in a strong box not far from Frederic to hide it from the Indians during the great Sioux Uprising of 1867. According to historians, William J. Starr, one of the founders of Frederic, had developed a home site here as early as 1865. Being a prospector at heart, he had moved to the area in search of precious minerals. He soon met a local Native woman whom he hired as a guide to the area. Eventually, they were betrothed and as luck would have it, she was the only daughter of the local Lakota Chief Bear Eyes. Chief Bear Eyes did not get along with the numerous Ojibwa tribes in the area and was something of an outcast. However, his clan had lived in the area for many generations and he was determined to stay where his ancestors had hunted and fished. When the Lakota tribes to the south rebelled against the white settlers, Chief Bear Eyes decided to remain at peace with the white settlers this side of the St. Croix River. This decision did not set well with the local Ojibwa tribes as they had taken sides with the Whites and wanted to use the uprising as means of punishing the Lakota and sending them across the river to Minnesota. One night in the late summer, Chief Bear Eyes learned of an impending attack by the combined Ojibwa tribes. He sent his daughter, Princess Nomokagen, who still lived with him together with a strong box to stay with William J. Starr until the battle was over. Starr and Princess Nomokagen decided it would be best to hide the strongbox. Local townsfolk claim they saw them put a large box that was about 3 feet by 3 feet on the back of a mule and head out in the woods somewhere to the east of where Frederic was eventually built. Apparently, after burying the box, William and the Princess made a small treasure map to guide them back to the strongbox. The map was secreted at the home of Starr. Chief Bear Eyes and his clan were all killed in the battle and the strong box was forgotten in all the commotion that followed both the battle and uprising created. Princess Nomokagen committed suicide by drowning in the Yellow River when she found out what had become of her tribe. William Starr not finding the treasure in gems and minerals that he had been looking for realized that the large pine trees would be worth their weight in gold. He started up some of the first logging camps in the area and soon became a millionaire lumber baron. He was president of the Davis and Starr Lumber Company and the Wisconsin Refrigerator Company, secretary of the Eau Claire Book and Stationery Company, owner and operator of an orchard and stock farm in Wisconsin and four farms and a large country estate where the family resided near Easton, Maryland. Starr also had large interests in the Steven and Jarvis Lumber Company of Eau Claire, Wisconsin, and the Florence-Louisiana Company of Vermillion Parish, Louisiana, and owned extensive timber lands in Wisconsin and California as well as the Parkdale Apartment Building in Chicago. He was a man of considerable standing in Frederic, the leading benefactor of the West Sweden Lutheran Church, president of the first Frederic Public Library Board, and a member of numerous area clubs. He also seems to have had a wide acquaintance in both the political and financial arena. The town of Frederic, Wisconsin near to his first lumber camp was named after his youngest son. William J. Starr died in 1921. The story as told by his son was that on his death bed, Starr suddenly remembered the treasure box that he had buried fifty-five years earlier. With his last dying breath, he tried to tell his son and heirs where the treasure map was hidden. However, it was too late and all they could hear him say was: “map, gold, treasure, buried nearby Frederic in woods.” Numerous attempts to find the treasure and map have all proven futile. Most of the people familiar with the story are now deceased. Some believe it was all a hoax and that no treasure ever existed. However, years later, (in 1971) one of Starr’s grandchildren found a Lakota cooking pot made of solid gold in the old attic of Starr’s house in Maryland. The single pot weighted six pounds and was conservatively valued at $78,000 dollars. This find gave some credibility to the old tale of Frederic’s lost treasure. Only one question is relevant today. Where is the Frederic Treasure Box hidden? A bold person can find this treasure. Think of what it could mean.